Residual Current Device - Spare RCD 25amp. A residual current device for detecting unbalanced current flow and preventing shocks. Image for illustration only. 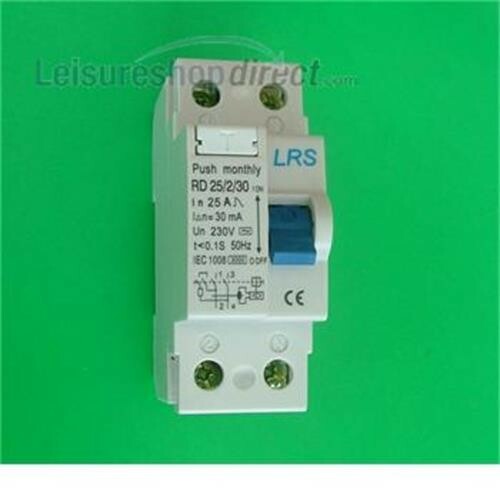 Require RCD for Marquis Majestic 145 Information I have is 2 Poles BSEN 61008-1 Rating 25A Hope this is enough do you have one.